The compact AG7000 Series of Thin Client Terminals is the newest member fo the CLI Thin Client Family. It is available with Windows 10 IoT, WES7 and Linux Operating Systems to fit into any environment. With a standard VESA mount, the unit can easily be mounted on the back of LCD Flat Panel Monitors. With a configuration that can be completely "locked down", the AG Series is perfect for creating a stable environment and an ideal replacement for Twinax and Coax Display Stations. The AG6601 with Windows Embedded Standard 7 (WES7 - 32-bit or 64-bit), Windows Embedded Standard 2009 (WES2009), CE.NET6 or Linux provides dual access to Windows applications and legacy systems (Midrange, Mainframe and Unix hosts). The ST5600 family of Thin Client Terminals is a less expensive option to the AG6601 and still a wide range of options and benefits. The AG6601 has a full array of Legacy ports - PS/2, Serial, Parallel and USB. Have a workplace with extreme environmental conditions? The JC6100 Ruggedized Thin Client Terminal has been engineered with an aluminum case to withstand the demands of the manufacturing floor. The ET2000 Ethernet Terminal addresses today's conversion of Systems from Twinax/Coax to Ethernet & TCP/IP networks where simple, cost effective, functional solutions are required to address character based terminal requirements. 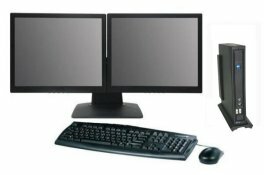 Computer Lab International (CLI) pioneered the development of modular Twinax display stations that use virtually any PC-type VGA or SVGA color, monochrome or LCD monitor. The CLI/5476Modular Twinax terminals feature the ergonomics and durability that have made CLI famous, along with a 3-year Advanced Exchange Warranty. Click on the CLI Display Station product below for detailed information on each on, or call us at (800)597-2525. The JC6100 has been engineered for those demanding commercial manufacturing environments. 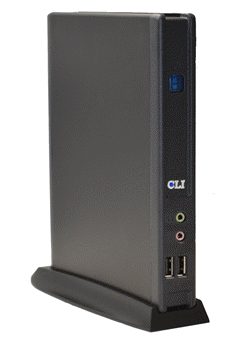 With a complete aluminum case, the JC6200 can stand up to challenges other Thin Client Terminals shy away from. The AG7000 is the newest member of the CLI Family of Thin Client Terminals listed at the top of this section. The ST6600 has been discontinued. The replacement product is the AG6601 Family of Thin Client Terminals listed at the top of this section. The ST6500 has been discontinued. The replacement product is the AG6601 Family of Thin Client Terminals listed at the top of this section. The ST6600 has been discontinued. The replacement product is the AG7000 Family of Thin Client Terminals listed at the top of this section. Direct Replacement for IBM InfoWindow, Decision Data, Memorex, Idea, etc.